You are here: Home › News and Updates › Kevin “Rashid” Johnson is Still Being Denied Access to His Property! 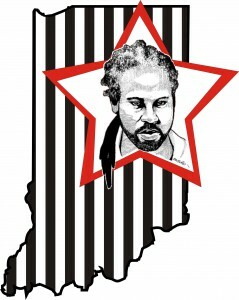 ← Kevin “Rashid” Johnson STILL does not have his property — PLEASE HELP! Kevin “Rashid” Johnson has not had proper access to his property — including his legal property — for over two months. This includes documents he needs for upcoming court cases, as well as contact information of his outside supporters. At no point since he has been in Indiana, where he was transferred in early November 2018, has he been able to properly access his belongings. Supporters have been phoning Pendleton Correctional Facility (where Rashid is being kept) as well as bureaucrats in Indiana and Virginia (as Rashid is a Virginia prisoner, in Indiana under something called the Interstate Corrections Compact). At first, the prison officials seems to have taken an approach of trying to avoid the issue — calls were not answered, were directed to voicemail boxes (sometimes full), or to low-level staff who did not really know what they were talking about. As people continued to call, the approach by prison authorities has changed. Now they are saying that the issue has been dealt with, and that Rashid has access to his legal property. We have spoken with Rashid, who has confirmed that this is a lie. After over two months in Indiana, Rashid still does not have access to his property. We are asking all supporters to please take a moment to contact the following officials with the Indiana and Virginia Departments of Corrections. Let them know that you are phoning about Kevin Johnson (DOC#264847) at Pendleton Correctional Facility. Tell them that you understand that officials have stated that the situation has been dealt with, but that despite this, Mr Johnson still does not have access to his property. Ask them to look into this matter. Here is the contact info. as well for the IN Ombudsman:; you can download a complaint form from the Ombudsman’s website here.